SocksAndAmanda: Thank you to everyone that came and helped out!! 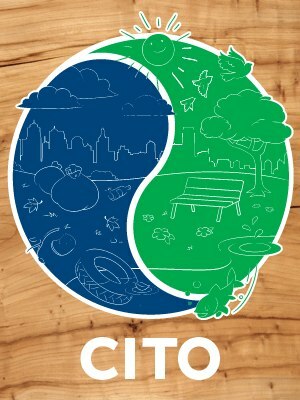 Fall CITO week is quickly approaching!! Come join with us to pick up some trash, clean up our community, and earn a new souvenir! One of Medford’s smaller to medium sized parks, Holmes is an East Medford park located at 185 S. Modoc Ave. It is nicely tucked into a quiet residential area which make this a favorite amongst local Southern Oregonians. The event will take place, rain or shine, because that's how we do things down here in SOGeo country! Come meet and greet fellow cachers, share some stories, plan for some new adventures, and pick up some tips along the way. Perhaps AmandaKShaffer and myself will have some pics to share with everyone from our Mexican vacation/honeymoon SOGeo shirts and GeoCoins will be available for purchase as well. We will provide the garbage bags, but feel free to bring your own garbage grabbers and gloves as needed. There should be plenty of parking at the location. We look forward to seeing everyone!! Nf hfhny, ybbx sbe gur thl jvgu ybat penml fbpxf naq lbh'yy svaq hf!